Today in Masonic History Harry Flood Byrd, Sr. passes away in 1966. Harry Flood Byrd, Sr. was an American politician and newspaper publisher. Byrd was born on June 10th, 1887 in Martinsburg, West Virginia. His family had a long history in the Virginia area. He was descended from one of the first families of Virgina as well as the Native American guide Pocahontas. He attended local public schools in the Shenandoah Valley as well as Shenandoah Valley Academy. In 1903, Byrd took over his father's newspaper the Winchester Star. The paper was in massive debt when Byrd took over. The company that supplied the newsprint was owed more than $2,500 and refused to provide any more paper. Byrd was able to enact a deal where he made daily payments to the company in exchange for paper. The helped to develop Byrd's "pay as you go" philosophy. He would grow to hate all forms of debt especially when it came to government debt. After Byrd was able to put the Winchester Star back on it's feet he was able to purchase other papers in the Shenandoah Valley which are still owned by the Byrd family today. In 1908, Byrd became president of The Valley Turnpike Company. The company operated a 93 mile toll road between Winchester and Staunton. As part of his job he would drive the road twice a month and was paid $33 a month. As more and more traffic came on to the road, much of it tourists, Byrd, using his pay as you go philosophy made sure the road was maintained and upgraded as money would allow. He held that position until 1915. In 1915, Byrd was elected to the Virginia state Senate. Again Byrd applied his pay as you go philosophy, this time on the government level. This unfortunately got him into trouble with the Virginia Highway Contractors Association. He said of the groups activities that "by combination and agreements may be very detrimental" to the State. The Association sued Byrd. A court found in Byrd's favor and it catapulted Byrd into the spotlight. In 1925, the publicity from the case helped to get Byrd elected as Governor of Virginia. As Governor, Byrd was focused on building the infrastructure of the state, again with the pay as you go philosophy. While Governor there was more than 2,000 miles of road would be completed. Also while governor he created contacts in all of the counties in Virginia by reaching out to all the elected officials in the county. This formed what was referred to as the Byrd Organization which dominated politics in Virginia until well into the 1960's. In 1933, Byrd was appointed to a vacated seat in the United States Senate. Byrd would win the special election and remain in the United States Senate until 1965. The year before, Byrd supported Franklin Delano Roosevelt as the Democratic nominee. Although he would largely support Roosevelt , Byrd did split with him on some issues. He would oppose Roosevelt's New Deal. Throughout his career, Byrd would often break with Democrats on various items. For example he did not support the reelection of Harry S. Truman. Byrd was nominated for President and Vice President on various occasions by what are generally called third parties in the American political system (neither Democrats or Republicans). On several occasions this was done without Byrd's knowledge. Despite the fact that he was in the dark about his nominations, he did well in a couple of the elections. In at least one election he won Electoral College votes. Due to illness, Byrd retired from the Senate in 1965. 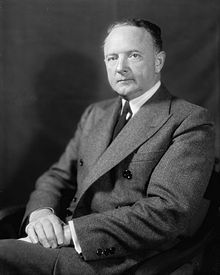 He was replaced by his son, Harry F. Byrd, Jr.
Byrd passed away on October 20th, 1966 due to brain cancer. Byrd was a member of Hiram Lodge No. 21 in Winchester, Virginia.